Hey everyone! For today's Mani Monday I have another drugstore nail polish purchase to share. This bright, creamy orange is Marmalade from Revlon's Colorstay line of polishes. When I picked this up I was hoping for a vibrant, true orange shade and this seemed like a nice option. 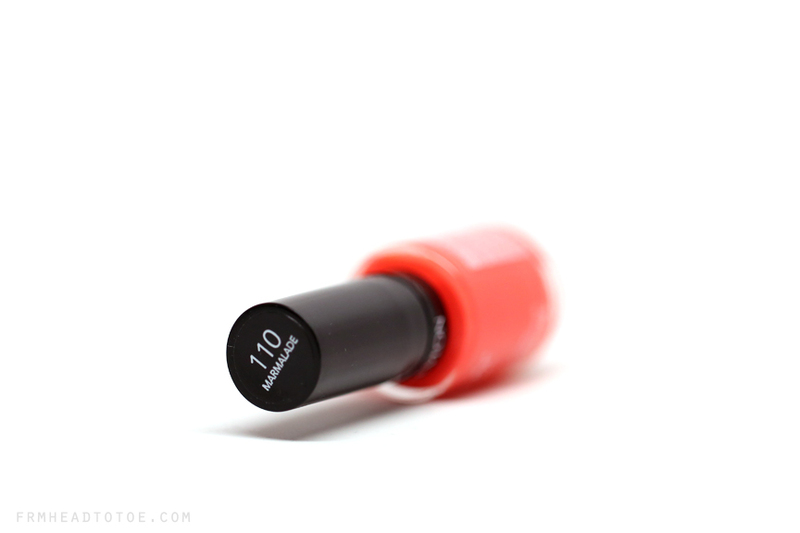 It's no secret that I'm a fan of oranges, so I'm on a hunt for a rich tangerine shade to give my toes a Summery look. Marmalade on the nails turned out to be a bit creamier than I was hoping but still has a nice effect on the nails, somewhere between a dark pastel and a chalky bright, and is unique in my collection. Here I used a base of OPI Nail Envy with 3 coats of Marmalade and topped the look with Seche Vite. The polish was pretty easy to apply and I noticed it was extremely glossy with each coat. The coats unfortunately applied a bit streaky and uneven, so it took 3 coats to get full coverage which is partially due to an uneven brush. (I had a similar experience with the last Revlon Colorstay polish I tried too.) For being on the pricier end of drugstore polishes at $8, I would expect more brush quality control! Overall, this shade is cute but not an obsession for me since the color isn't as vibrant as I wanted and didn't cover as evenly due to the streakiness. I will probably still try other colors since I enjoy how shiny the polish is even without top coat, but I do wonder if the Colorstay line just comes with its caveats. 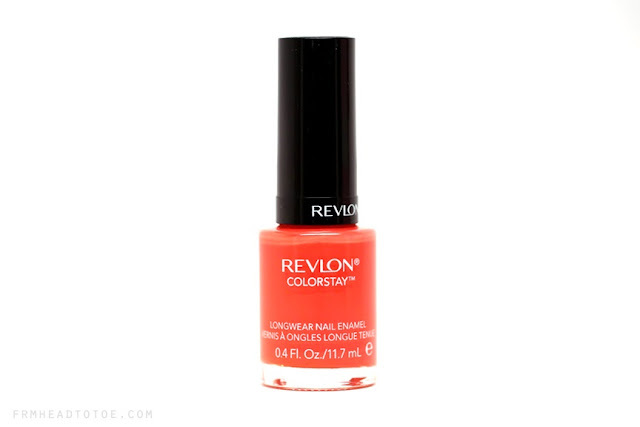 Readers, have you tried Revlon Colorstay nail colors? Are there other shades you recommend? Let me know in the comments! My favourite orange polish is Essie Meet Me At Sunset. It's not pastel and is a little bit jelly like in formula. Applies great too. I have to agree I'm not a huge fan of the Revlon brushes! Though I do love the shade, I'm a sucker for orangey-reds! Such a a beautiful nail colour! I've never tried Revlon before, it's hard to find it where I live, but it looks like they have some very amazing colours. I also really loved the blue you used on your last video for the August favourites. Thanks for sharing. This color suits summer and autumn best! I love Wendy's Lookbook makeup you did for her on "The Frame" will you please do a tutorial on the look on yourself or even Wendy? Thanks! !